... Photography, as we know, is a way of capturing the most momentary of beautiful things, though of course flowers have beautiful aspects that can’t be captured in any visual medium. 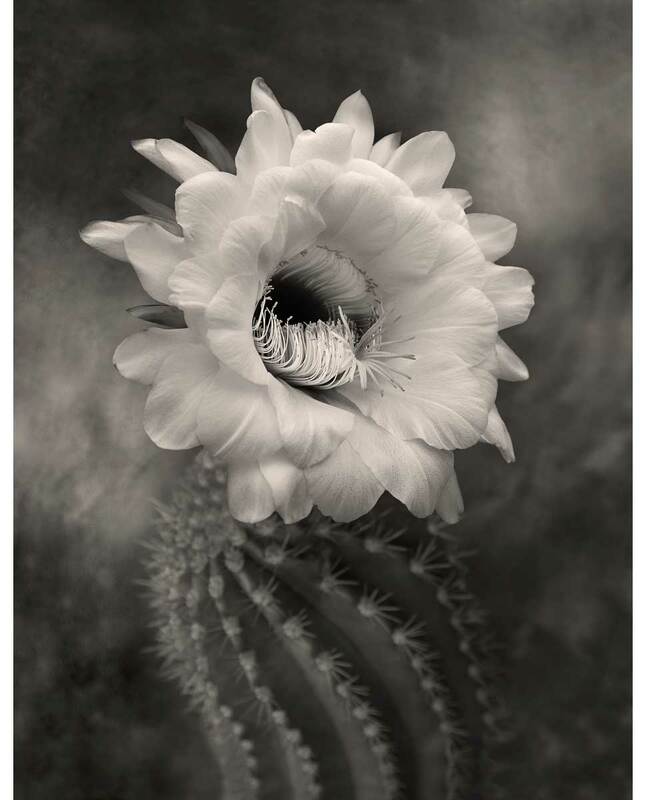 Some of these elements can be suggested in a photograph—the velvety texture of a petal, the fragility of pistil or stamen, or even, perhaps, the flower’s fragrance. The scent of a flower is often even more evanescent than the bloom itself, mutating during the life of the flower, or lasting only one evening, or mysteriously wafting to another part of the garden. Fragrance is a very important part of the attraction that flowers have for us, and it is perhaps even more important to the flowers themselves, as it is one of the main ways that flowers attract their pollinators. White flowers, which don’t rely on brilliant colors to attract pollinators, are often some of the most fragrant—we only have to think of the magnolia, the gardenia, and the blossoms of the orange and lemon for proof of this. 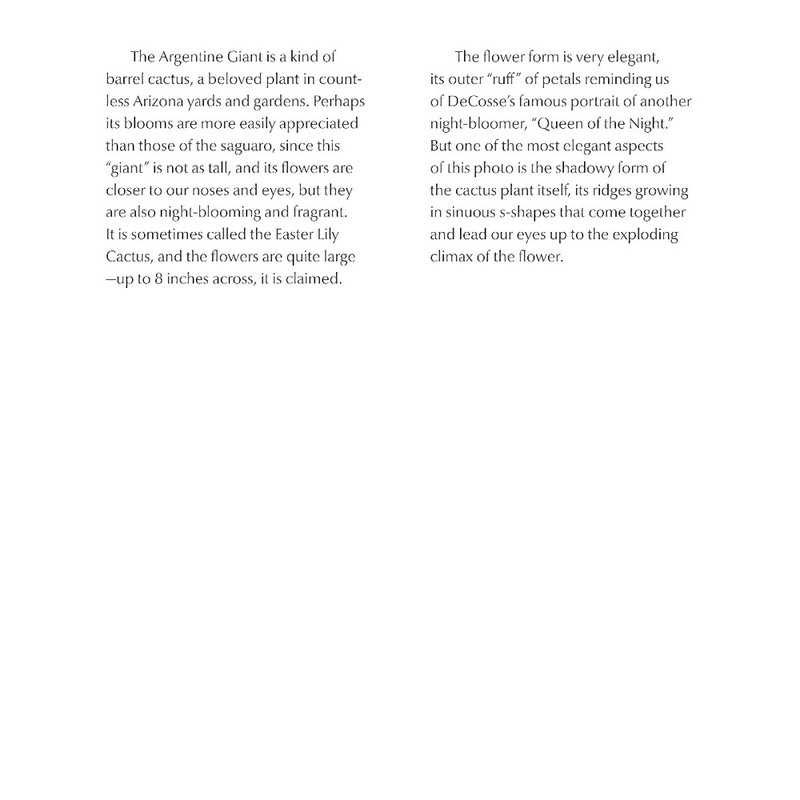 And night blooming flowers, which are white more often than not, produce some of the most beautiful and haunting perfumes in the plant kingdom.